Truly the coyote’s story is one of ingenuity, adaptation and resilience, much like our own story as we navigate through life’s ups and downs. Despite campaigns of annihilation employing poisons, gases, helicopters and engineered epidemics, they didn’t just survive, they thrived, expanding across the continent. They are proof that what doesn’t kill us makes us stronger. It’s been a little more than four years since I witnessed the atrocity of an animal-killing contest. However the images of children, teens and adults waving the bodies of dead squirrels in the air right next to me and other protesters remain vivid. I’ll never forget this one young girl “proudly” carrying a pizza box filled with dead squirrels as her dad grinned alongside of her. The crudeness, violence and lack of respect for wildlife inherent in that contest, known as the Squirrel Slam, a fundraiser for the Holley Fire Department in New York, left me literally sick to my stomach—I remember laying curled up on my bed when I got home hoping sleep would take away the images in my head. I didn’t know such barbaric animal-killing contests existed before I came to work at Friends of Animals almost five years ago. That this cruelty towards wildlife is allowed in most U.S. states still astounds me. Animal killing contests—which target wildlife such as squirrels, coyotes, bobcats, foxes, raccoons, crows, prairie dogs, and even wolves, for prizes and fun—are particularly merciless acts of animal abuse. Proponents of such contests, typically the ranching community, will say that they are saving doomed livestock and deer from varmints. Their propaganda seems to be falling on deaf ears these days, and that’s heartening. Just as the demise of Ringling Bros. and Barnum and Bailey Circus reflects a change in what people view as family entertainment, finally there seems to be a groundswell of opposition to animal killing contests having a place in a civilized society. In June, a coalition of more than 25 wildlife and animal protection organizations delivered letters urging Georgia Gov. Nathan Deal to cancel the “Georgia Coyote Challenge.” During the six-month period from March to August the challenge offers Georgia residents the chance to win a lifetime hunting license and a new hunting rifle. A lawsuit that shut down Oregon’s large JMK Coyote Hunting Contest in 2014 has been followed recently with national and state petitions for bans from groups and individuals advocating for native wildlife, according to “Coyote Carnage: The Gruesome Truth About Wildlife Killing Contests” published by the Yale School of Forestry & Environmental Studies. These include the cancellation of the Boonie Club Crow Shoot in Williamstown, Vermont, after a social media outcry; the unanimous vote last March by Albuquerque’s City Council for a resolution condemning coyote killing contests and calling for a statewide ban; and impending bills to ban wildlife killing contests in New York, Nevada, New Jersey and New Mexico. If you live in these states call your state representatives and senators and tell them to support the legislation to ban wildlife killing contests. If you live elsewhere, start a movement to introduce legislation. Wildlife species should be revered not only because they are sentient beings but because the health of our ecosystems depend on them. 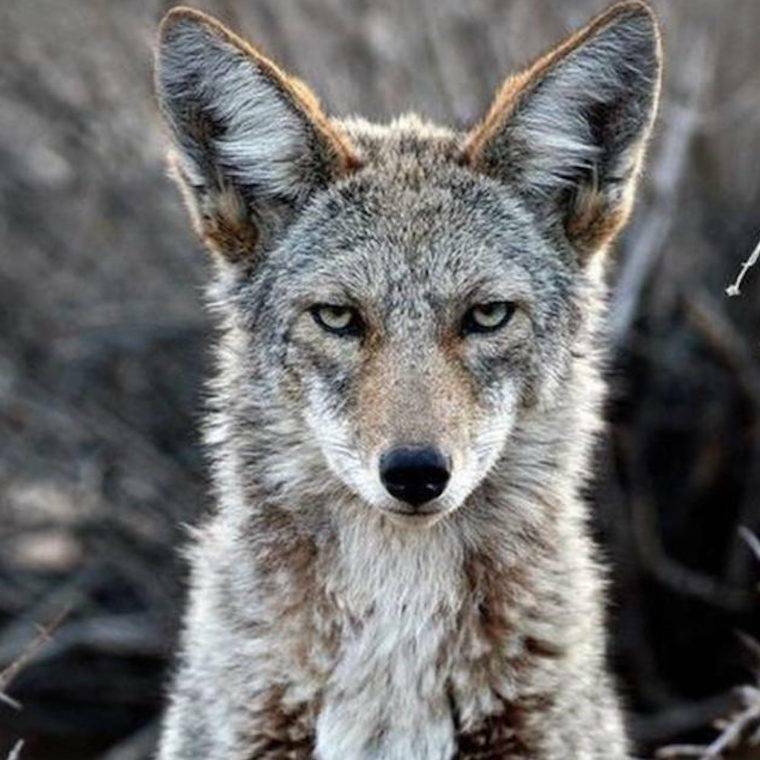 I learned by reading Dan Flores’ book Coyote America: A Natural and Supernatural History that coyotes and humans are among the few mammals in the world who have evolved fission-fusion societies, the ability to live singly or communally—one of the explanations for the success of us and them. That’s why, to needlessly slaughter coyotes or other wildlife in the name of a new gun, prize money, a lifetime hunting license or for fun, is not only an insult to them, but to our humanity.